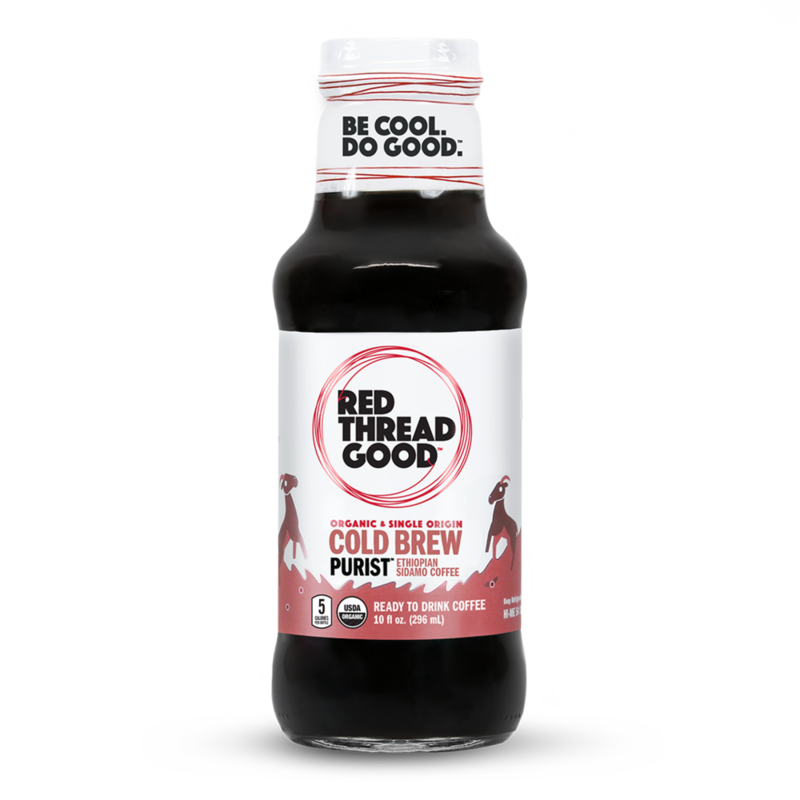 Only 5 calories, 0g of sugar, purified water and natural flavorings in these amazing black cold brew coffees. Each of our cold brews is SINGLE ORIGIN, meaning the beans come only from one specific region in one specific country. No mixing beans from other places so you get the full flavor from the region, the way true premium coffee is meant to be enjoyed. Welcome to this state of consciousness; the Dreamy™ state. Float on smooth caffeine clouds made from the richest organic beans. With a hint of chocolate in this Dreamy™ cold brew, you won’t want to wake up. But seriously, this brew will wake you up. This bottle is your Red Thread, connecting you to the farmers who grow our Peruvian coffee. Purified water, Organic, Fair Trade, single origin beans & natural flavors. That’s it. We won’t judge how you pronounce it, “care-a-mel” or “car-mel.” Either way, this blend of natural flavors and organic single origin Peruvian beans will keep you feeling Cozy™. Oh and don’t go nuts, we’ve got you covered. Take another sip. Our honey bees may hit the bourbon hard, but we make sure they go home at closing time. It’s your turn to twist the top, lean back and take in that organic Breezy™ bourbon honey nectar. You may hear our bees buzzing. Or, maybe that’s just your head. Takengon is a quaint and secluded village near Lake Laut Tawar at the northern tip of the island of Sumatra. It’s remote and getting there is quite the challenge, but the clear mountain water and altitude of 3000 feet make the scenery, and the coffee, unique and worth the trip. Fortunately, we put in the work and brewed this Purist™ Sumatra cold brew for you. You’re welcome. This bottle is your Red Thread, connecting you to the farmers who grow our Purist™ Sumatra coffee. Purified water and Organic, Fair Trade, single origin beans. That’s it. Pico Mogotón stands 6,900 feet tall over the coffee fields of Nicaragua. With a peak like that, this mountain’s head is forever in the clouds. 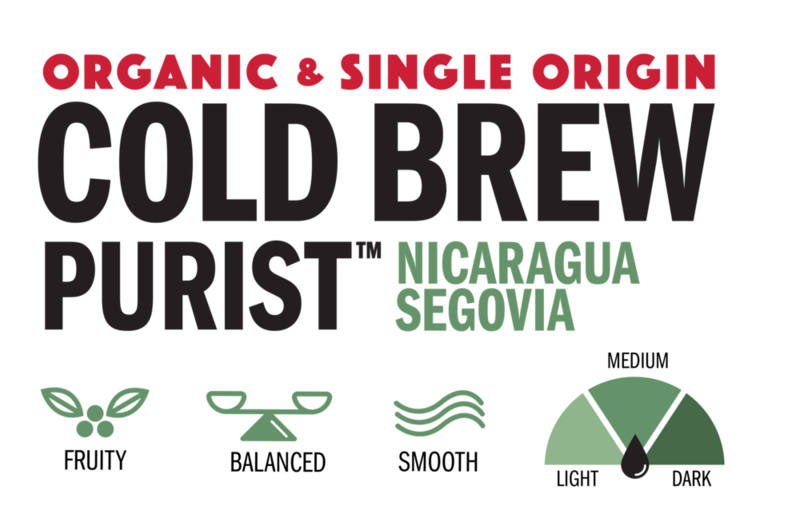 After drinking our Purist™ Nicaraguan cold brew, maybe your head won’t be. This bottle is your Red Thread, connecting you to the farmers who grow our Purist™ Nicaraguan coffee. Purified water and Organic, Fair Trade, single origin beans. That’s it. 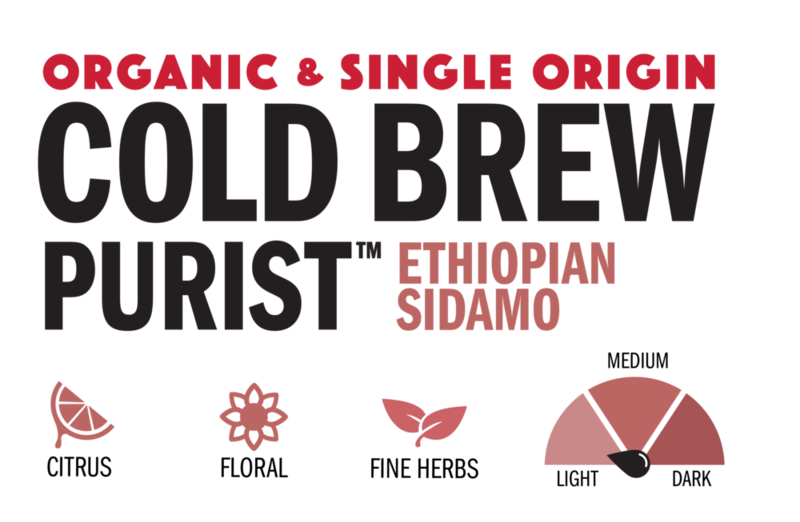 Legend has it that Sidamo, in the Southern area of Ethiopia, is the birthplace of coffee. It’s said that a man named Kaldi stumbled upon the bright red coffee berries when he noticed his herd of goats energetically prancing after eating them. These goats were prancing, but we think you’ll be dancing. This bottle is your Red Thread, connecting you to the farmers who grow our Purist™ Ethiopian coffee. Purified water and Organic, Fair Trade, single origin beans. That’s it.